This dill pickle recipe can’t be beat! These 24 hour refrigerator dill pickles are quick, easy, and delicious! It only takes about 15 minutes to prep these homemade pickles and all you’ll need are cucumbers, garlic cloves, fresh dill, and water, vinegar, sugar and salt for the brine. 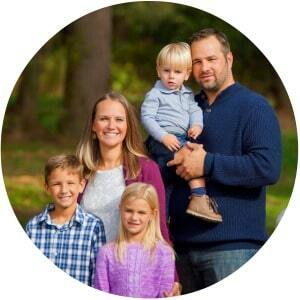 Finding the perfect dill pickle recipe was a necessity because, well, I love pickles! But even more than me, my kids LOVE pickles! There’s just nothing like cracking open a fresh jar of homemade pickles to enjoy with your hamburger on a warm, summer day. Although in our family you won’t find anyone happy with just one pickle spear…before you know it we’ve gone through a whole jar! As you may have noticed, pickles can be quite expensive to buy at the store (we like the Claussen ones), especially when you are going through a jar as a snack! Haha! 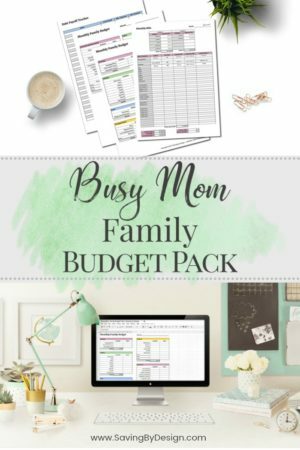 That’s why making our own became a fun, money-saving family activity. I have to admit that I am a bit of a picky pickle eater though. Wow, say that 3 times fast! 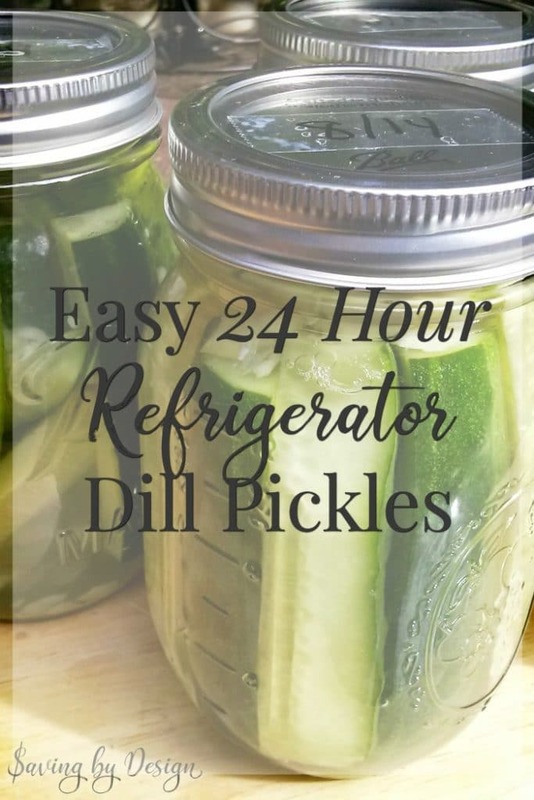 I love crisp, fresh dill pickles – and I found that these easy 24 hour refrigerator dill pickles just can’t be beat! Which Cucumbers Make the Best Pickles? Although there are quite a few varieties of cucumbers, generally they can be divided into two groups – pickling and slicing. 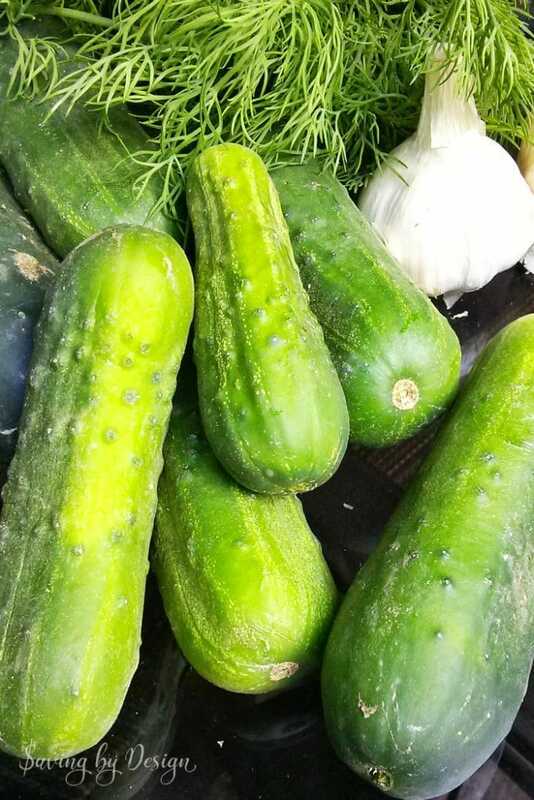 “Pickling cucumbers,” such as Kirby cucumbers, are grown for canning, while “slicing cucumbers” are grown mostly for fresh eating. Of course you can use slicing cucumbers, such as English cucumbers, for pickling, but you might end up with softer pickles. How to Make Dill Pickles? There are a few different methods to make dill pickles – canned pickles will last for months at room temperature but require more work than the easy refrigerator pickles that can be put together in as little as 15 minutes and are ready to eat in as little as 24 hours (our favorite!). 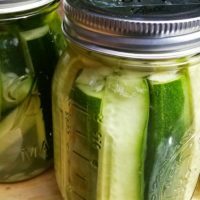 Best of all, making pickles is super inexpensive. Just plant some cucumbers, dill, and garlic in your garden and you’re pretty much ready to roll. To make our favorite refrigerator dill pickles start by getting your brine ready. To make the brine combine water, vinegar, sugar and salt in a pot and bring to a rolling boil. Then remove from heat and cool completely. While your brine is heating up, slice the cucumbers into pickle spears and stand them up in pint-sized mason jars. Divide the sliced garlic cloves and fresh dill equally among the jars. Then fill each jar with the cooled brine. As you can see in my photos, I simply mark the date on the lids with a piece of tape and a sharpie. Place the jars in the refrigerator. 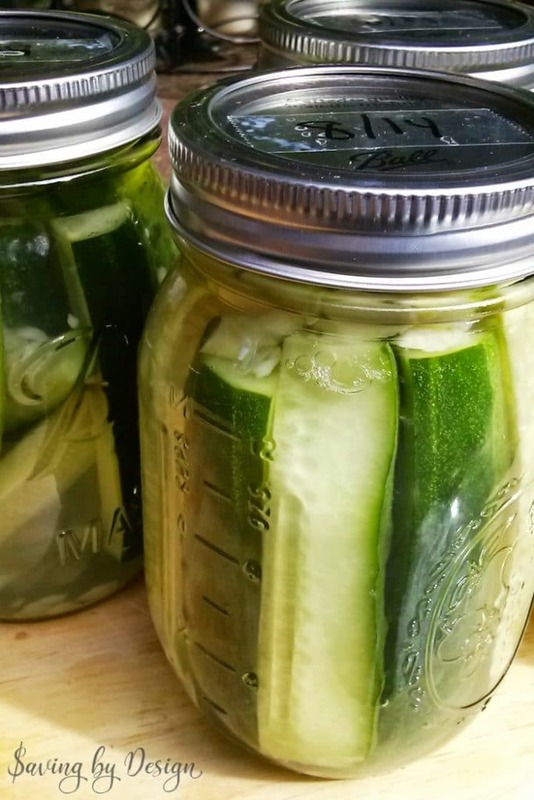 Your pickles will be ready to enjoy after only 24 hours and will stay good in your fridge for a few months…like they would ever last that long!! This dill pickle recipe can't be beat! These 24 hour refrigerator dill pickles are quick, easy, and delicious! It only takes about 15 minutes to prep these homemade pickles and all you'll need are cucumbers, garlic cloves, fresh dill, and water, vinegar, sugar and salt for the brine. To make the brine combine all brine ingredients in a pot and bring to a rolling boil. Set aside and cool completely. Stand up your cucumber spears in 12 oz jars. Divide your garlic and dill equally among the jars and fill each jar with the cooled brine. Store in the refrigerator until read to serve. After 24 hours they are ready but will only get yummier the longer they sit. This recipe should yield about five 12 oz jars. Alternatively you can make one large 1/2 gallon jar or other sizes as desired. Just adjust your recipe accordingly. These do look simple and delicious! Thank you very much for sharing, can’t wait to try and make my own pickles at home!